Mord’a’stigmata—not a name that is easily forgotten—has been a name on the periphery of my radar for years. 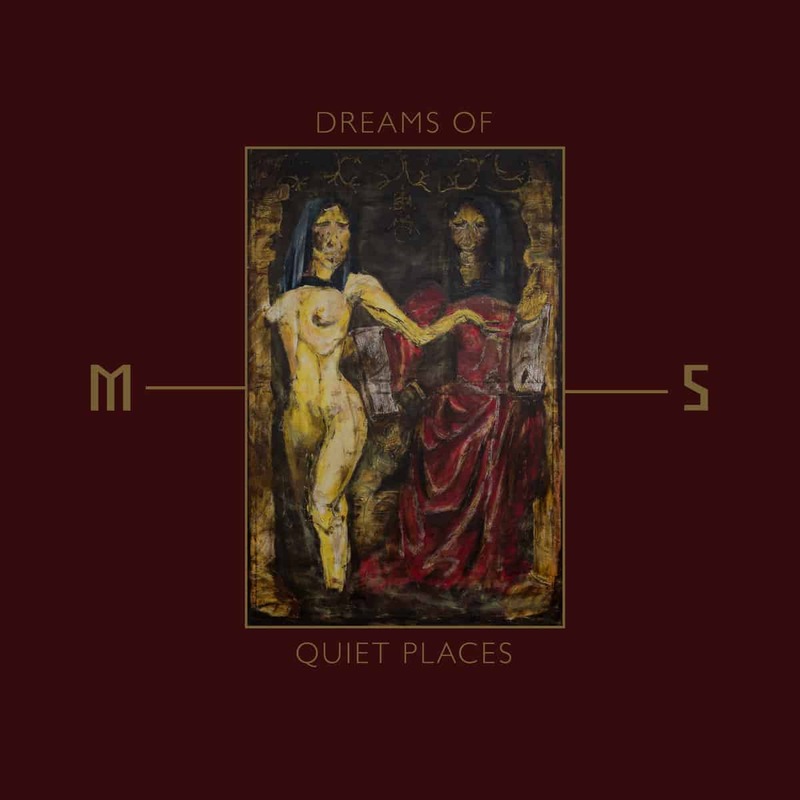 The Polish group’s brand of bleak metal never captivated me enough to warrant much attention, but on fifth full-length Dreams of Quiet Places they have refined their sound into something impossible to ignore. Both composition and production have taken a substantial step up from 2017’s Hope, with nods to purveyors of blackened sludge like Rorcal and older Altar of Plagues, alongside psychedelic elements reminiscent of Entropia and older A Forest of Stars (or their lesser-known reincarnation, The Water Witch). The standout performance throughout the album belongs to Static, the band’s contributor on synthesizer and guitar. Most metal bands who choose to incorporate synth do so with some constellation of cheesy ambient pads and/or Rudess-wannabe prog wankery. Mord’a’stigmata’s usage eschews both of these paradigms, leaning into dark electronic soundscapes and unique textures; their synth lines often sound less like part of the song than like a ghost haunting the ruins of the song. For examples of the “dark electronic” side, look no further than the album’s intro (the first few minutes of “Between Walls of Glass”) and outro (the short title track); for the “unique textures”, we must consider the openings of the second and third tracks. “Exiles” announces its presence with one of the heaviest and thickest synth tones ever dropped into black metal arrangement, and is given the full stage and spotlight, with no harmonizing guitar to compete against. Following that, “Spirit into Cristal” roars to life with a vicious hellhound growl of a tone, layered eventually with a sparkling, staccato new-wave arpeggiation. Each of these tracks emphasizes their enchanting electronics for a while before launching into full blackened sensory assaults. At rare but special moments, the band is able to hold both their electronic and metal sides in tension, sounding like a hypostatic union of Bathory and Bauhaus in the middle of “Spirit into Cristal” or on the Joy Division-tempo opening of “Void Within”. The album picks up in ferocity as it goes on. Intermission “The Stain” begins to unleash the high-speed skill of drummer Ygg, a newcomer to the band for this record. The two full tracks beyond that continue to showcase his most blistering drum techniques. The chaos amplified around the 1:30 mark of “Void Within” recalls a more dissonant White Ward, even leaning toward Behemoth territory, with an ultimate climax that matches “The Stain” in intensity; “Into Soil” begins with this same alacrity before resigning to a more pensive electronic part that recaptures the vibe of the album’s first half. Entropy and decay dominate the middle of this penultimate track, with counterpoint guitar carrying the denouement and the drums ebb and flow underneath the melodic elements. The album closer, “Dreams of Quiet Places”, wraps things up with a capstone of synth work that fitting summarizes the richness of the album. Aside from some of Ygg’s proficient percussion, Mord’a’stigmata is not characterized by flashy technicality. Rather, like Manetheren or Altar of Plagues, it is by creating an atmosphere of gloom and oppression. They don’t veer into chaotic dissonance in the Portal or Deathspell Omega œuvre, and the guitar lines deviate very little from old-fashioned Phrygian mode. But the way they are able to expertly layer those harrowing guitar lines with synth, to shift the gears of their speed and intensity mid-track, and to top it all with Ion’s powerful vocals makes Dreams a psychedelic nightmare worth having.